Porthcawl’s construction as a town began in the early 19th Century, when it was decided to build a new harbour to service the expanding coal and iron industries of the South Wales Valleys. The most influential family in the expansion of Porthcawl was the Brogdens from Sale, Manchester. John Brogden & Sons were involved in railway construction and iron ore mining. The company bought a major interest in Tondu Ironworks, and mined coal in the Ogmore Valley. The Brogdens were instrumental in linking Porthcawl to the iron and coal mining communities of the valleys by rail. 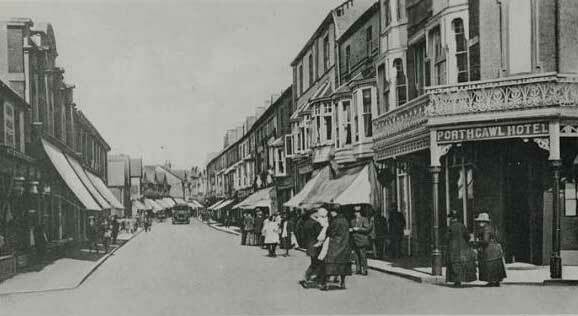 It was after the First World War that Porthcawl expanded as a popular seaside resort. 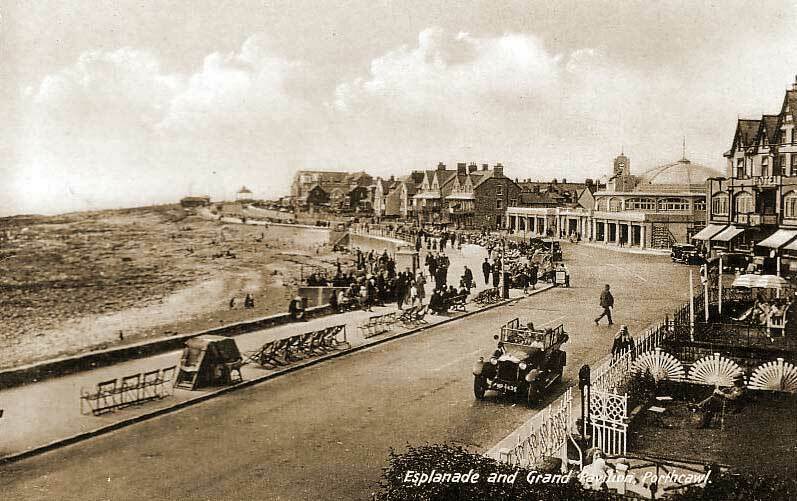 In 1932 the Grand Pavilion was built. Part of the harbour was enclosed to create an area that was known as Salt Lake. This was very popular with swimmers and small boats were also available for hire. In 1942 the 49th Reconnaissance Regiment was formed in Porthcawl and stationed in the town before heading for France and spearheading the 49th Division as part of the liberation of Europe. Adjacent to Porthcawl are two older settlements – the villages of Nottage and Newton. With the expansion of Porthcawl, these have now become absorbed into the town. Newton has a 12th century Norman church. To the northern end of Porthcawl is Kenfig National Nature Reserve, which is one of the most important sites in Britain for nature conservation. It is now a site of special scientific interest. It has many thousands of species of animal and plant life, including the rare Fen Orchid. Moving southward we find Sker Beach, Pink Bay and Rest Bay, all of which have sandy beaches with Rest Bay boasting a blue flag. Adjacent to Rest Bay is Locks Common which stretches as far as the outskirts of the town. The foreshore between Locks Common and the harbour is a mixture of rocky landscape and sandy beaches: Coney Beach, Sandy Bay and Trecco Bay. Coney Beach and Trecco Bay also have blue flags. Next to Trecco Bay, which has a large holiday village, is Newton Bay, which leads to the Glamorgan Heritage coast, an area of outstanding natural beauty. On the same side of the river Ogmore are Merthyr Mawr sand dunes, which are said to be the largest in Europe. In 1828 a harbour was constructed at the terminus of the Duffryn Llynvi & Porth Cawl Railway with the town of Porthcawl growing up around it. The harbour’s inner basin, which was the first modern enclosed harbour in South Wales was filled in during the Second World War. It is now included as part of the town’s regeneration area. A newly completed marina has been built within the old working harbour offering berths for up to 70 leisure and commercial craft. The marina has lock gates allowing 3 hours of access either side of high water. 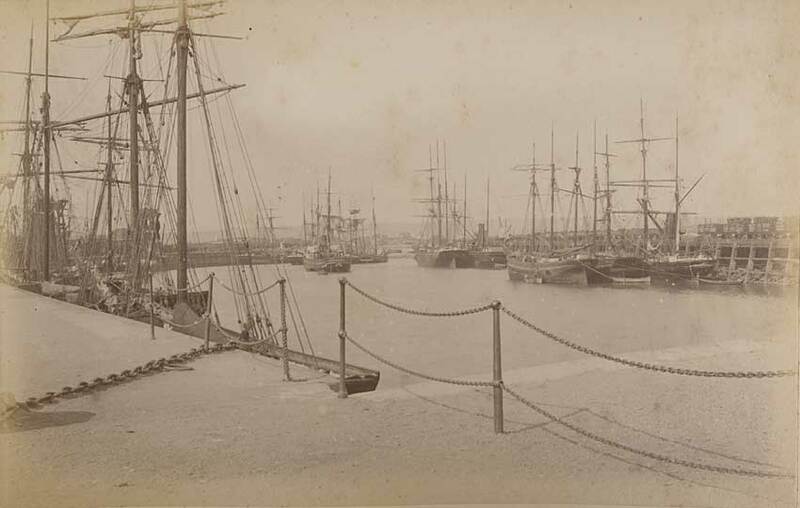 The 19th century harbour was once the site of immense activity until bigger and deeper harbours were built at Barry and Port Talbot. Near the harbour is situated the Porthcawl Lifeboat Station, purpose built in 1995, it operates an inshore B class Atlantic 75 lifeboat. Next to the lifeboat station is ‘Cosy Corner’ a park area, which over the years has housed a theatre, cinema, roller skating rink and ballroom. Also nearby can be found the Jennings Building, built in 1832, a grade II listed building and Wales’ oldest maritime warehouse. The building has been identified as a potentially important facility as part of the Porthcawl Regeneration Strategy. At the end of Porthcawl Pier stands a white lighthouse built in 1860. It was the last coal and gas powered lighthouse in the UK. It switched to being powered by North Sea gas in 1974, before becoming powered by electricity in 1997. The pier and surrounding area are popular spots for sea fishing. The historic ships the PS Waverley, the last sea-going paddle steamer in the world, and the MV Balmoral sail from this area during the summer months. As its name suggests, there was once a railway station at the top of the hill with trains for Bridgend and elsewhere stopping there in the summer seasons bringing visitors for their main holiday. 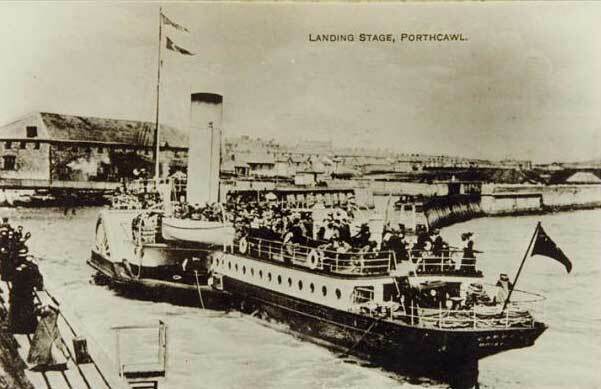 The Brogden family visualised Porthcawl as a fashionable seaside resort as well as a thriving port for the export of coal. It is easy to see Brogden’s image as you stand at the top of John Street and view the broad sweep of the frontage. You might even be able to imagine his workmen changing an empty expanse into a commercial enterprise. Modern developments in coastal defences have covered most of his original sea wall, but from the lower platform, a portion of the original is still visible. The Seabank stands on the site of a house built in 1867 by George Dement. By 1908 the house belonged to the Brogden family and was their only sole surviving asset, already mortgaged beyond their means. Porthcawl Town Carnival takes place annually in July. A procession of themed floats and acts make their way around the town, collecting money for charity, and competing for the prize of best float. The procession makes its way to the carnival field where there are stalls, a fun fair and live acts to be enjoyed. The Porthcawl Jazz Festival is held annually in April hosting a variety of musical performances, workshops and family events over a weekend. Surf Cult runs for a week in September. Events include surf contests, music, art, fashion and film plus an outdoor market. The festival ends with the legendary Surfers’ Ball. The Elvis Festival runs every September, attracts Elvis tribute artists and devotees from across the world, and is the biggest gathering of Elvis fans in Europe. The Elvis Festival was selected as one of the UK’s top twenty summer festivals by The Times in 2008. Other festivals include the Nottage Beer Festival and the Porthcawl Sea Festival.